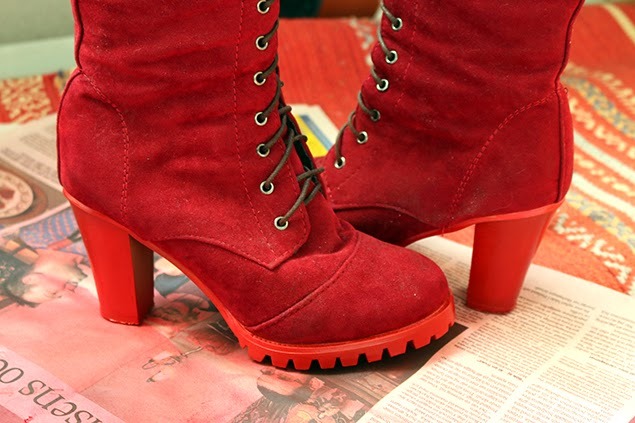 You may recall me mentioning red suede lace up boots on several occasions trough the years? 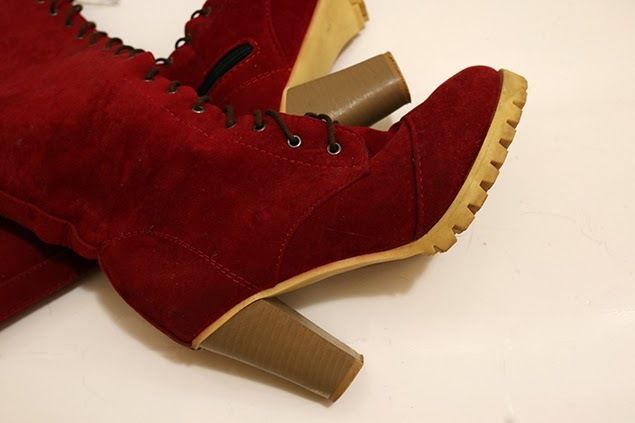 The kind of shoes I liked the idea of but didn't necessarily want to own, as I didn't really wear boots for many years. But due to practical reasons and shorter hems of mine I've been digging out my old boots from their hideabouts during the year and some time ago decided was it was time to start the search for the red ones, if such were available. Well of course, the internet delivered after some time and now I can tick that off my list! Went over to the hardware store and decided on red spray paint (and a brown-red primer), hoping the difference in shades would not turn too bad. 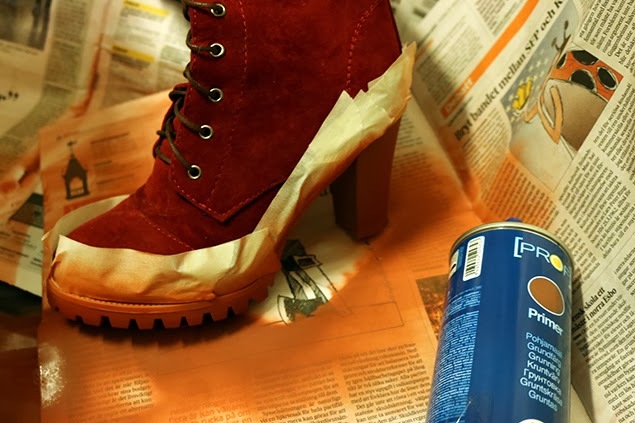 Put some masking tape to cover the actual shoe and gave the heels a couple of round with primer and then paint. I filled in uncoloured areas close to the seam with a red marker - I coloured a pair of satin dance shoes like that once, with a marker, and it turned out super - but thats for another post. They look like superhero boots! Awesome! FOUR THINGS RIGHT NOW: THE LIGHT IS BACK!